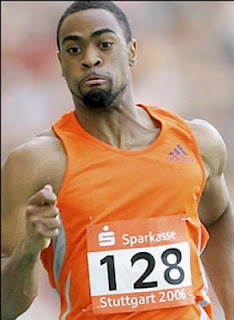 The Daegu organisers are said to be targeting former 100metres world record holder Asafa Powell of Jamaica and American Tyson Gay, after failing to convinced a fatigued Usain Bolt to pursue his Asian commitments on Wednesday. "We are trying to invite Asafa Powell of Jamaica and Tyson Gay of the United States," a committee official said, adding that the latter would be a bit tougher to convinced because of his injury. "But Gay could be a little hard because he has a [groin] injury." Organisers were hoping to use Bolt at the Pre-Championships Meeting later this month, as the perfect icon to promote the sport ahead of the next world championships in athletics, which will be held in Daegu in 2011. However, the Jamaican who has been on the road since July 1, cancelled his trip to Asia, revealing that he was tired and wanting to go home. Meanwhile, even without the presence of Bolt, who set world records on his way to winning the world sprint title in Berlin last month, the Daegu meeting directors believe a strong contingent will still be on show to excite the fans. But the final list of participants for the meet will be announced after the World Athletic Final ends this weekend.